I am a BIG fan of reupholstering furniture. Granted, it is generally as expensive as buying new, but I like the "green" factor. If it's a family heirloom, means something to a client, or is just built well and looks good but needs a little makeover, reupholstering a piece is often a great alternative to trashing it. 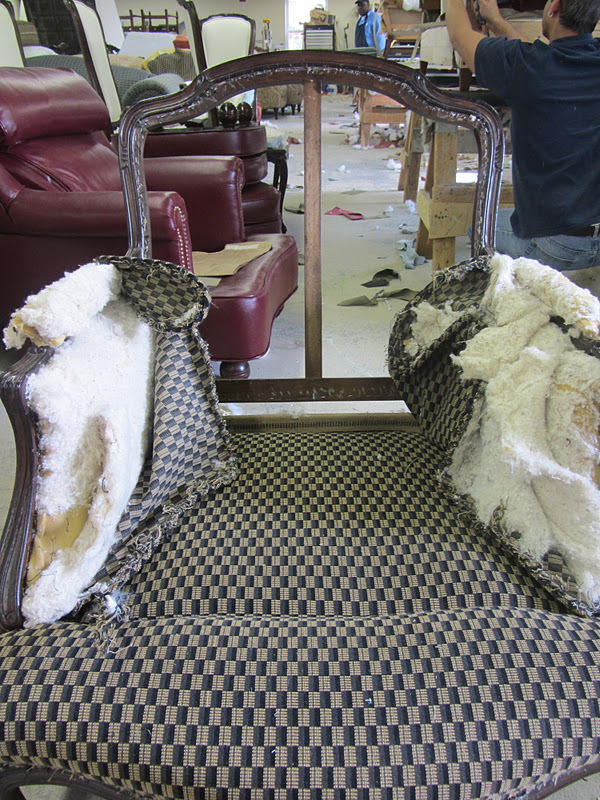 The chair was checked for cracks, nicks or any compromised components. This is when it would be touched up or glued if necessary. The sewer makes the casings for the cushions and they are stuffed accordingly. 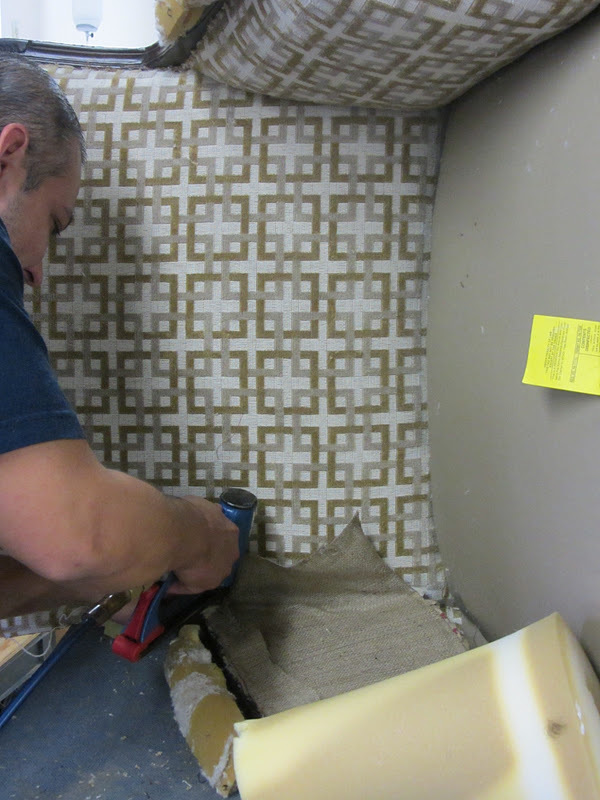 We went with a 50/50 down fill for a slightly firmer feeling. I don't want to show you too much ~ waiting for the BIG reveal. 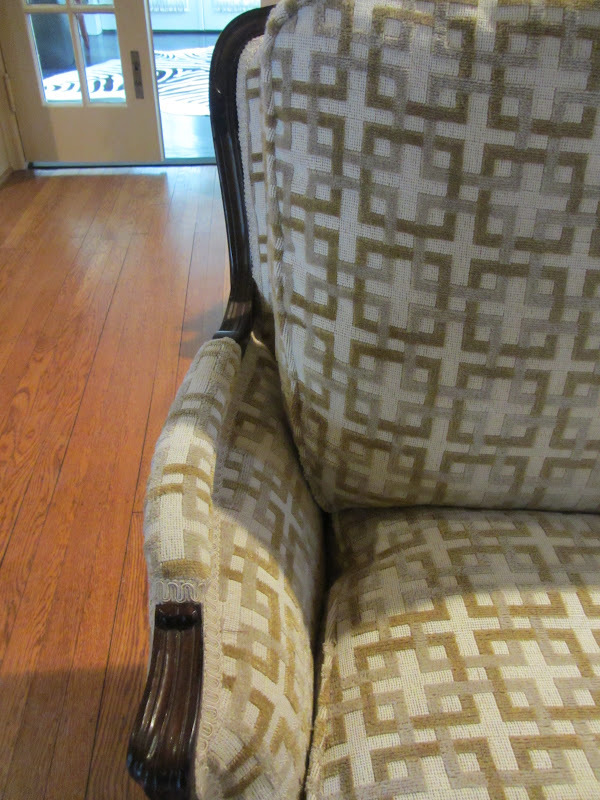 Suffice to say, the chairs came out great and the room is going to be GORGEOUS! Just using the lighter fabric instantly made the chair more visually exciting and lighter in feel. 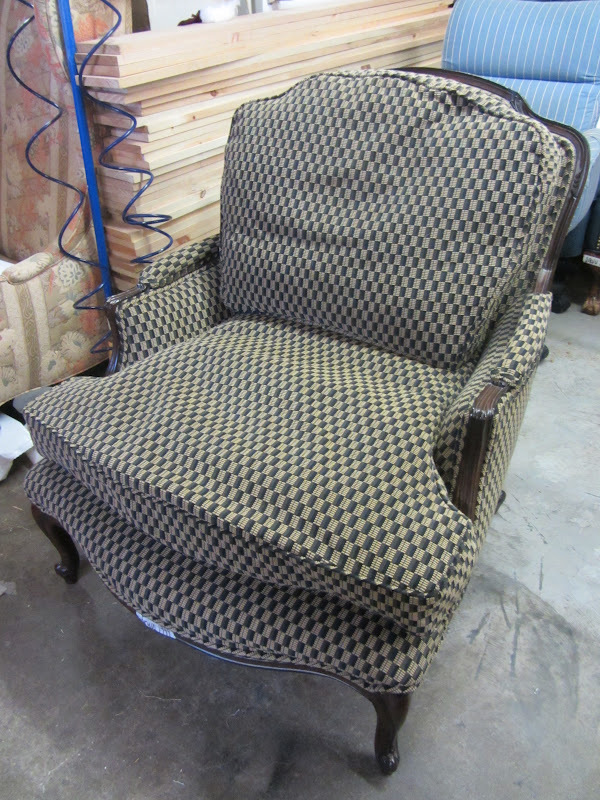 The geometric pattern modernized the French style chair. I am really loving it now. It's clean and fresh, not dark and stodgy. 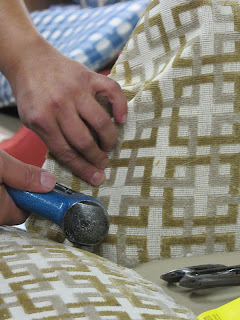 Think about how you can simply reupholster a piece that may not be working anymore. 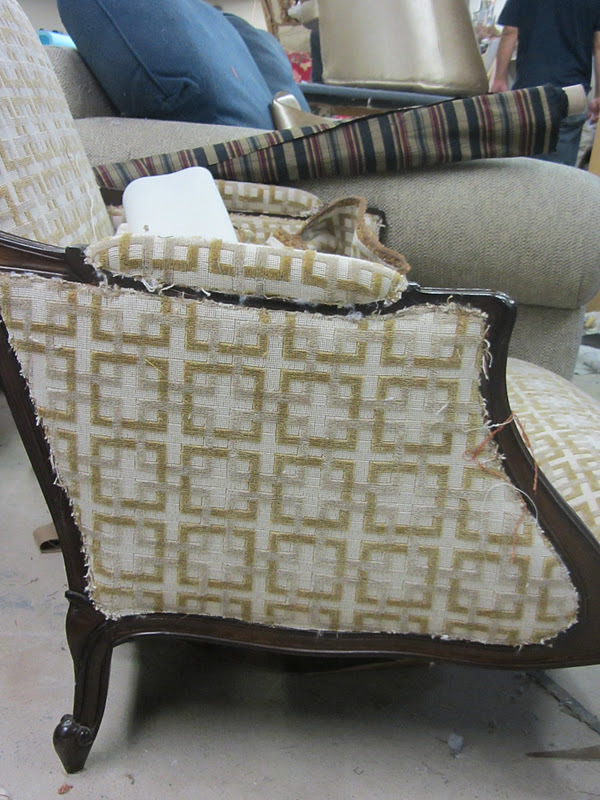 You have read this article Bergere Chair / Brunschwig and Fils with the title Deconstructing A Chair ~. You can bookmark this page URL http://ourpicturewindow.blogspot.com/2012/02/deconstructing-chair.html. Thanks! 1 comment for "Deconstructing A Chair ~"
very good blog. thanks for posting. Modern dressing table furniture designs..
Modern LCD TV glass stand ideas. When Is a Log Not a Log? Modern bathroom furniture designs ideas. Modern kitchen furniture designs ideas. Modern living room furniture designs ideas.